Trends are always coming and going, whether in the fashion industry or in home décor. While some trends may not ever capture your affection, you may find yourself in love with others, even after their popularity piques. Luckily, there are a number of trends that have timeless elements, making it possible to use them throughout your home for years to come. 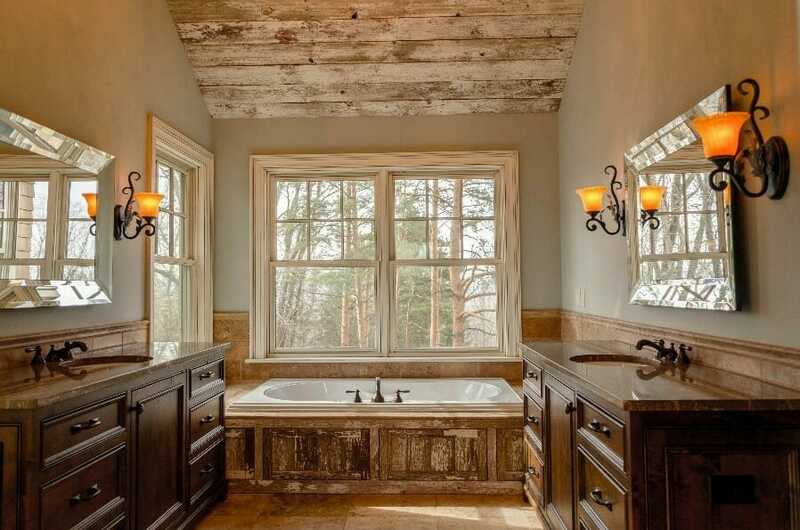 One of those trends is a vintage farmhouse theme that is very well suited for any room in your house but looks particularly charming in the bathroom. When it comes to remodeling or making changes to a room in order to give it a theme, it can often get expensive fast. You don’t have to spend a small fortune just to decorate your bathroom, though. If you want to give your bathroom a vintage farmhouse look, below are 10 suggestions that can help you do just that, even on a budget. Rustic wood is the perfect fit for a vintage farmhouse look and incorporating it into your bathroom is easy and can be quite affordable. For example, using floating wooden shelves to hold everything from towels and toilet paper to plants and other décor pieces will give that vintage, rustic look without costing you more than you have. You can even reuse old pieces of wood, old crates, or other items you have around the house to create floating shelves to create that vintage farmhouse look in your bathroom. Repurposing old furniture to be used as something else has become popular lately, and dressers are one of the most versatile pieces of furniture you can use. Rather than using them as a way to store clothes, you can use them as entertainment centers that hold movies, gaming systems, and the TV on top. They can also be used as vanities in a bathroom to add character and play into the theme. Using older, distressed looking dressers in place of vanities is the perfect way to add to your vintage farmhouse theme, and since you can easily find the perfect dresser second-hand, you can make it happen without going over budget. Wire baskets are a classic staple when it comes to farmhouse décor. People often think of wire baskets filled with fruit, vegetables, eggs, or other bounties from the garden and farm. 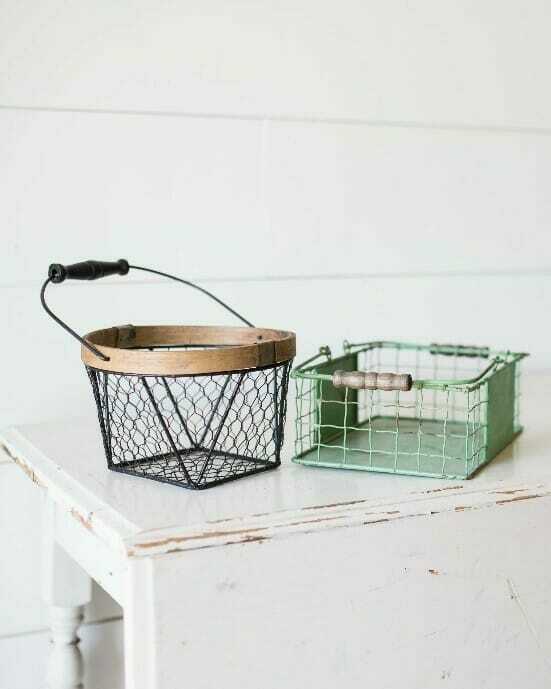 Whether you use wire baskets to hold other décor items, towels and washcloths, toilet paper, or all of the above, wire baskets are a good and affordable way to add to your vintage farmhouse bathroom theme. Subway tile is everywhere, and its versatility makes it easy to use with any number of different trends and décor themes. It’s a must when creating a vintage farmhouse look, though. Subway tile can be used in the shower, on the walls, or just as a backsplash and can really tie the entire bathroom together. Not only will it bring everything together perfectly, but it can be done easily and affordably thanks to premade sets that can be simply stuck to the wall and finished in a matter of hours instead of days. The vintage farmhouse look is light and airy, meaning that when it comes time to remodel and paint, you’ll want to choose your paint colors wisely. The best paint colors for a vintage farmhouse look are light, neutral tones. Think white, off white, light gray, pale green, light beige, etc. 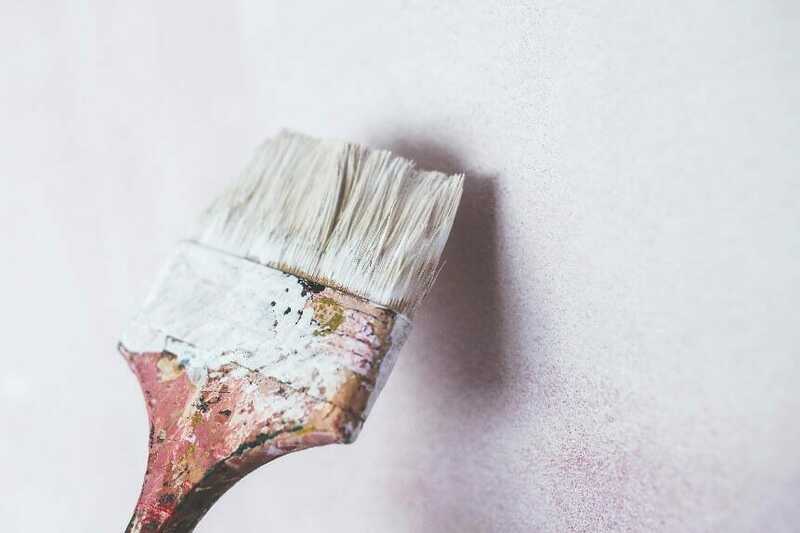 As simple and inexpensive as a coat of paint may be, it really can make or break the entire look of the room. Farmhouse sinks are wonderful and utilitarian, and while they can make wonderful kitchen fixtures, they aren’t always suited for the bathroom. In the bathroom, (especially small bathrooms), counterspace is important and farmhouse sinks can take away a lot of it. That’s where vessel sinks come in. They stand out and add character to the room but allow for that extra counterspace to be saved. Plus, replacing a sink, (especially if you’re already replacing the vanity), is quite affordable and will help you stay in budget. 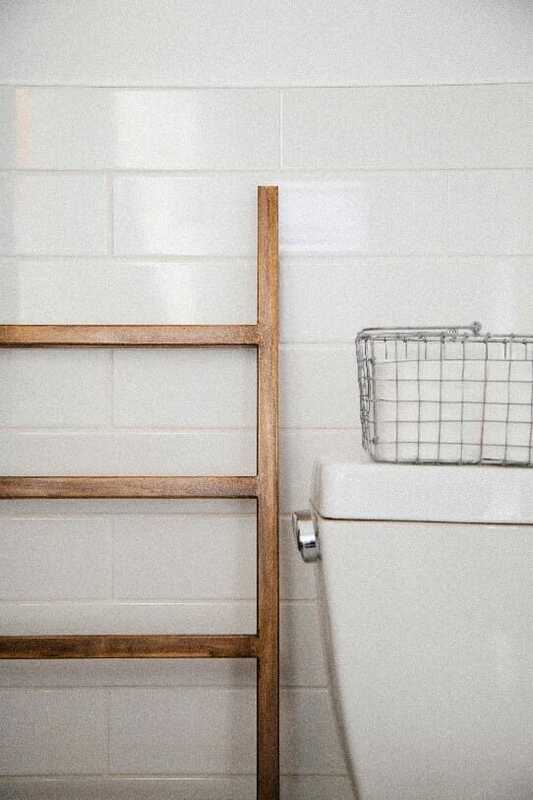 Shiplap is a popular choice for walls these days, and if you’re looking to give your bathroom a vintage farmhouse makeover, then shiplap is something you’ll definitely want to consider. It’s beautiful, adds depth and character, and can be easily done on your own without going over budget. If you aren’t going to be incorporating subway tile, then you’ll definitely want to fit some shiplap in there on at least one wall if not all of them. Typography is a great décor option for any type of décor theme and for any type of room. 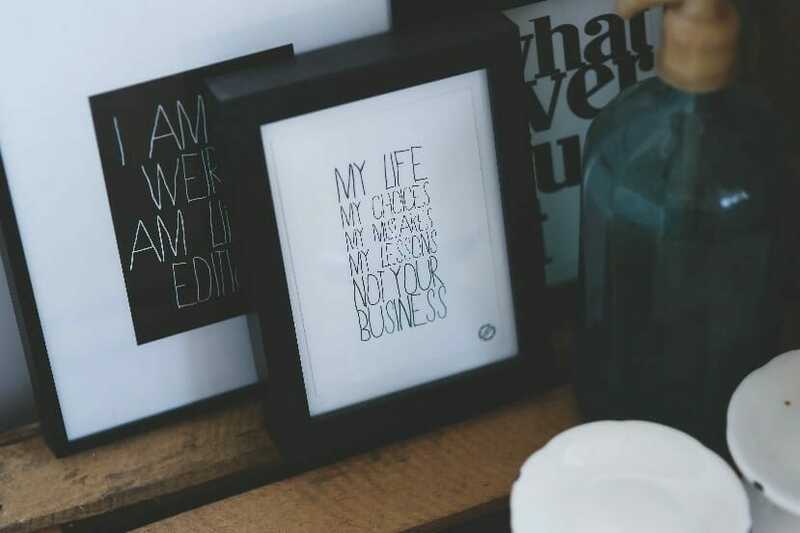 From inspirational quotes to individual words, the right font combined with the right frame can make the perfect accent piece for any room—a vintage farmhouse bathroom included. 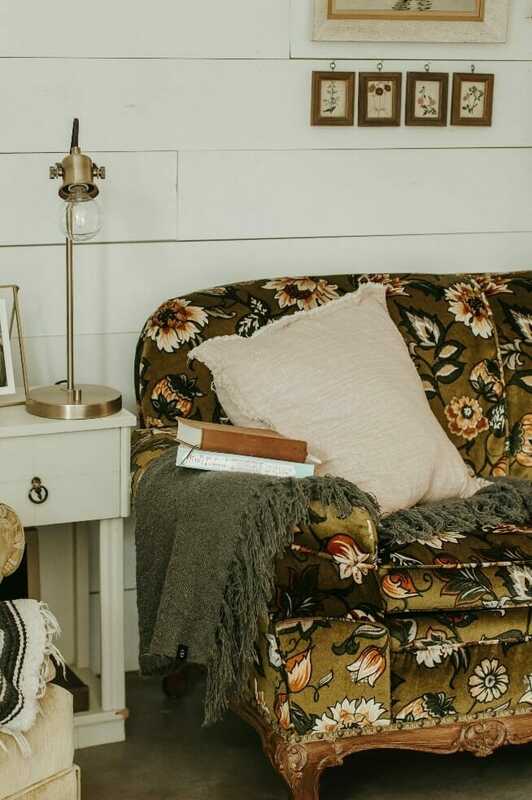 Whether you use words like, “Floss”, “Flush”, “Wash”, and “Brush”, or entire sentences like, “Sit back and relax”, typography is an easy and affordable décor option that you can use to add to your vintage farmhouse theme. Nothing about a vintage farmhouse theme should say “modern and new”. While you can absolutely purchase new pieces to decorate and remodel your bathroom with, their design should be old-fashioned and vintage. 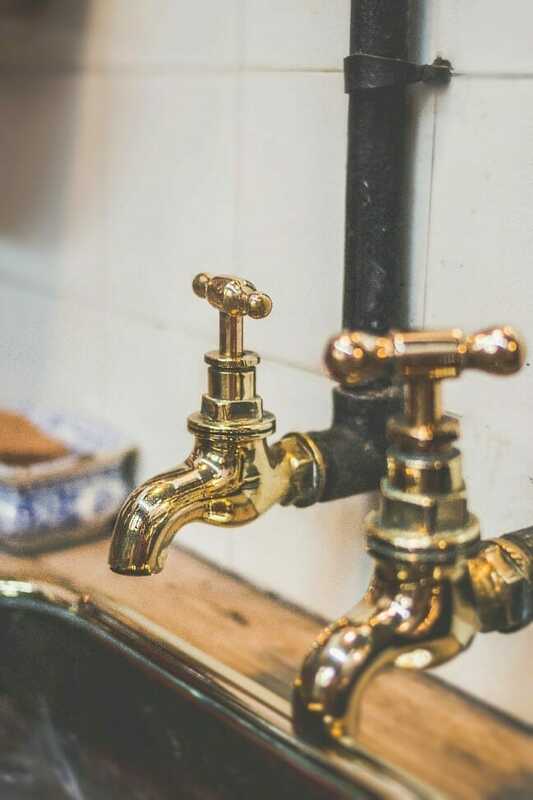 Using old-fashioned features like faucets with turn knobs, light fixtures made out of industrial piping, and knobs and handles made out of wrought or cast iron will add to and finish off your vintage farmhouse bathroom look. 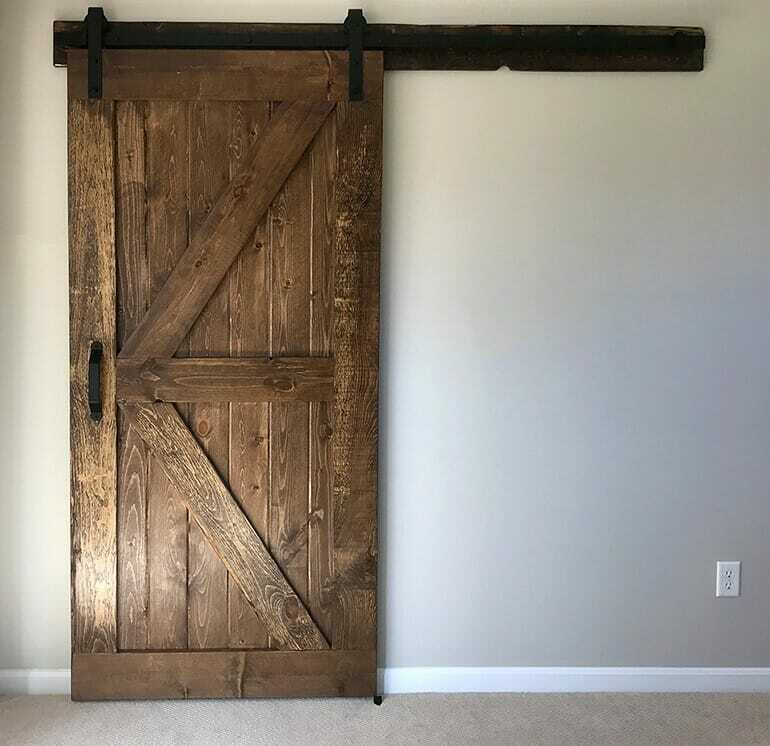 What says vintage farmhouse better than a barn door? While you don’t have to install a literal barn door onto your bathroom to make it look authentic, installing a sliding barn door will finish off the look perfectly. Not only will it complete the look, but it is something you can easily do and install on your own, saving yourself money. If you’re facing a bathroom remodel or simply want to give your main bathroom a facelift, a vintage farmhouse motif is a perfect and long-lasting theme to go with. 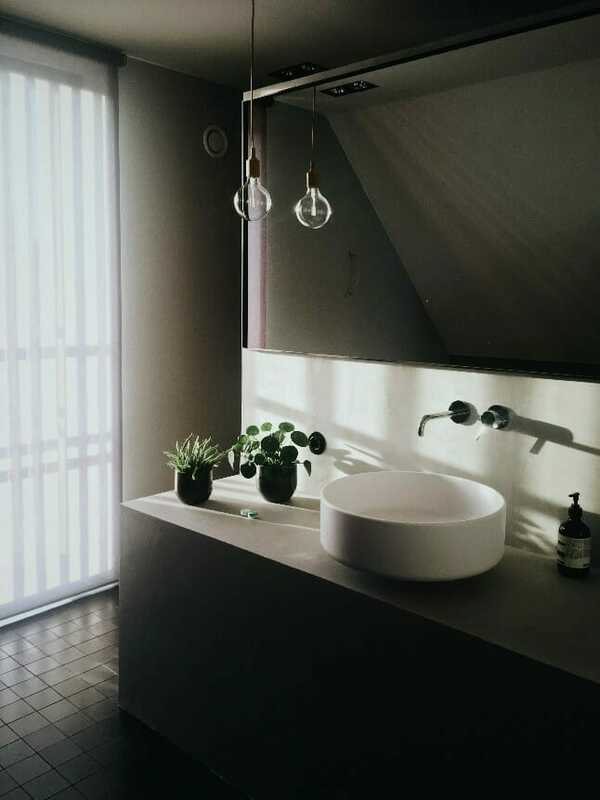 Although remodeling or even redecorating can come with a high price tag, there are some things you can do, (like applying a new coat of paint, changing out fixtures, and/or installing a new vanity and backsplash), that will give you a beautiful farmhouse bathroom without putting you over budget.